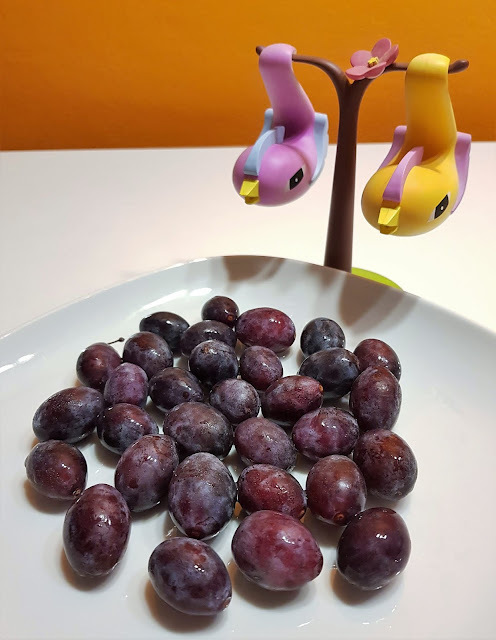 Traditionally they are from the Cuneo area where in the many local dialects they are also known as Syrian plums or Damascus plums. 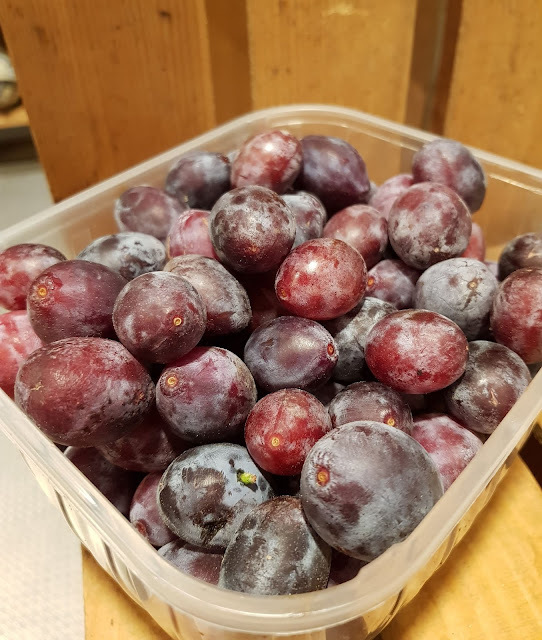 Despite their name, there is no doubt however, about their Piedmontese origin and in fact, since 1998 they have been a certified PAT or a traditional agricultural product of Piemonte, more precisely: traditional plum of the Turin hills recognized and certified by the Italian government. Most likely, our very own ramassin got over here during one of the Saracens' invasions in the IX and X century. Ramassins are tiny, roughly the size of grapes 🙀 and their color can go from amber yellow to deep purple. They keep all the plum characteristics, including the thin whitish layer of wax coating their skin. The pulp is soft, aromatic and it easily comes off the pit. Their plant is sturdy, it grows from the seed and doesn't really require a lot of care. It grows well up in the mountains too. Ramassins are traditionally harvested on the ground where they fall once they are ripe. Nowadays, to preserve the fruit there are nets to collect them before they get any bruises. Pending on the weather, the ramassin season is rather short: from July 10th to the end of July 😪 in lucky years, up to the end of August. Even though the harvest season is very short, many traditional recipes turned them into a readily available delicacy all year round. Think of jams, preserved in alcohol (like maraschino cherries) in air tight glass mason jars, dried and more. They are also used to make aromatic liqueurs and traditionally, they are baked or cooked and served with all the other pieces of fritto misto alla piemontese. 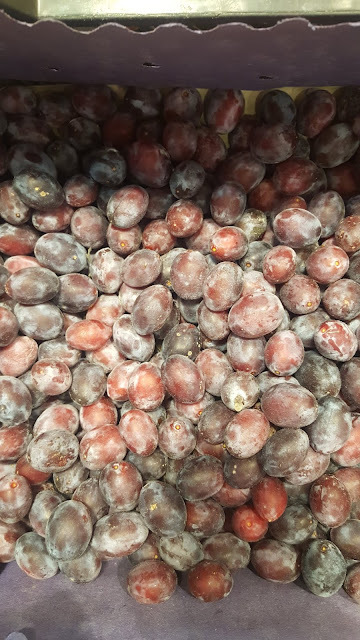 To give you an extent of the ramassin production: you can roughly get 800 tons of these mini plums per 50-60 hectares. 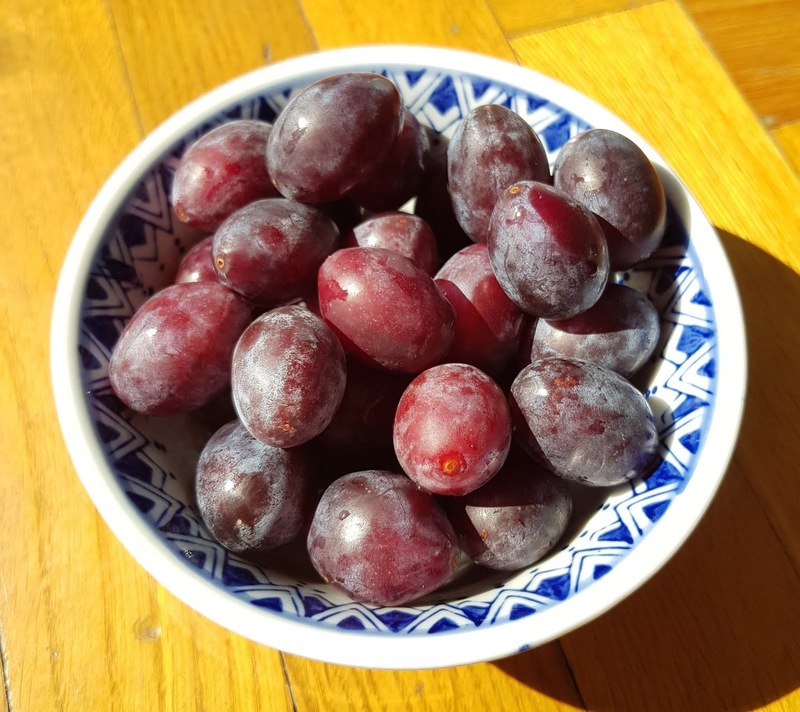 Even though up to the recent years, it was much easier to find them only at the market and in their original area, today you can find them in regular grocery stores in Turin too. In 2006, two Ramassin consortia or producers' associations were born in the Saluzzo and Mondovì areas; the first one is now a Slow Food presidium: a group of small producers who work to preserve the authenticity of their traditional product, strictly tied to their territory and following the traditional techniques of production. Each presidium is basically a 'project' devoted to the survival of one specific local product in full respect of the environment and sustainability for the community. You can read more about Slow Food here and about their presdia here. Naturally, if we were Italian bears, ramassin would be our July diet, as we are human beings, we normally pig out on them plain. However, if you wish you can serve them with yogurt parfaits, on top of cheesecakes, pancakes, you can make a nice jam and even bake with them. Online you can find many recipes, with and without the skin, but all without the pit! Honestly we like their skin too and share the cake recipe below with you. First of all de-pit the ramassin and cut them in slices. In a bowl whip the eggs and sugar till foamy. Slowly fold in the flour, the baking powder and the heavy cream. Add 2/3 of the plums. Grease and flour a springform cake pan and top with the other ramassins. Cover the cake with alluminum foil and bake for 30min. Remove the alluminum foil and bake uncovered for 15/20 more minutes. Take the cake out of the oven and when cool, sprinkle it with powder sugar and enjoy. As you can see, this recipe's only fat source is given by the heavy cream but you can naturally modify it and use any substitutes, from yogurt, cream cheese, to vegan products. The only ingredient you won't be able to substitute are the ramassins!